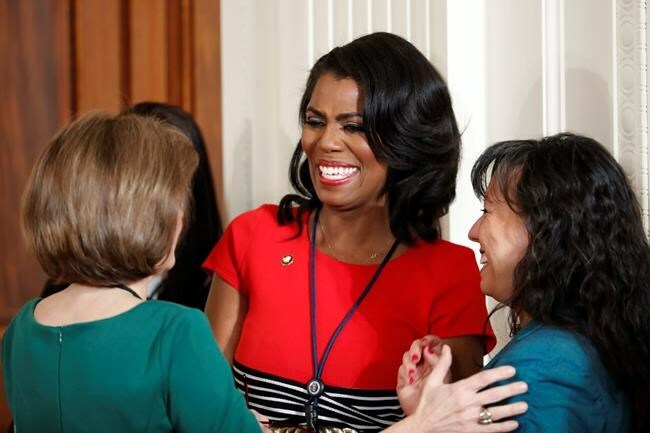 And she says Manigault Newman's decision to share the recording during a Sunday television appearance to promote her new book "further proves the lack of character and integrity of this disgruntled former White House employee." Manigault Newman says the recording is one of a number she made in order to protect herself in a West Wing riven by infighting. The Associated Press has independently listened to the recording of the conversation. Manigault Newman is appearing on the show to promote her new book, "Unhinged," which will be released next week. In it, she paints a damming picture of President Donald Trump, including claiming that tapes exist of him using the N-word as he filmed his "The Apprentice" reality series. Manigault Newman had said in the book that she had not personally heard the recording. But Sunday she tells Chuck Todd that, after the book closed, she was able to hear it personally. She says, "I heard his voice as clear as you and I are sitting here."